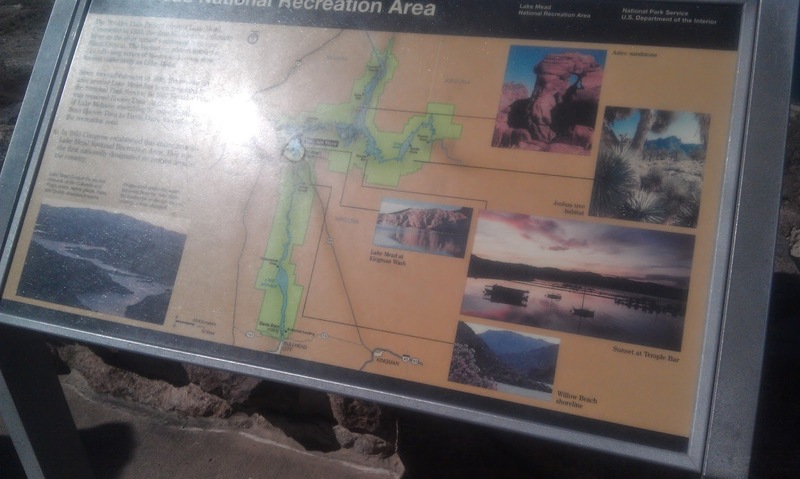 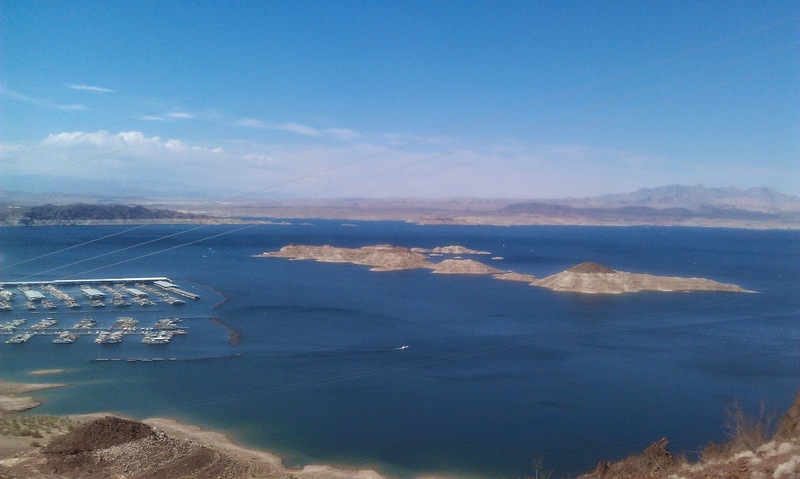 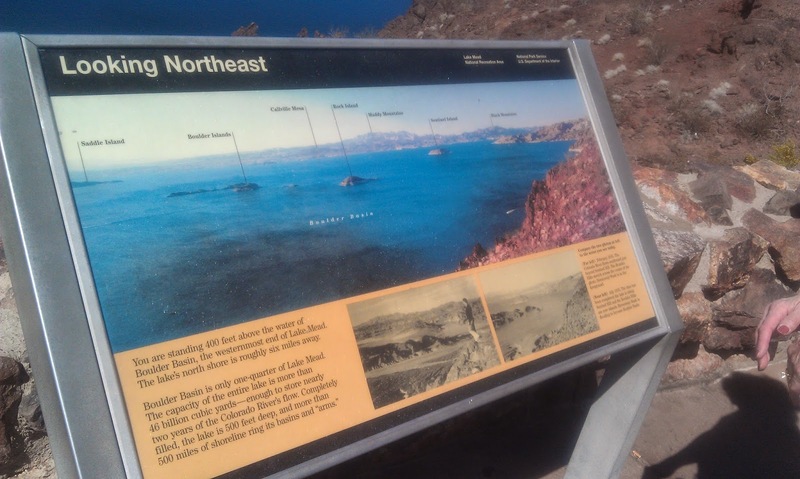 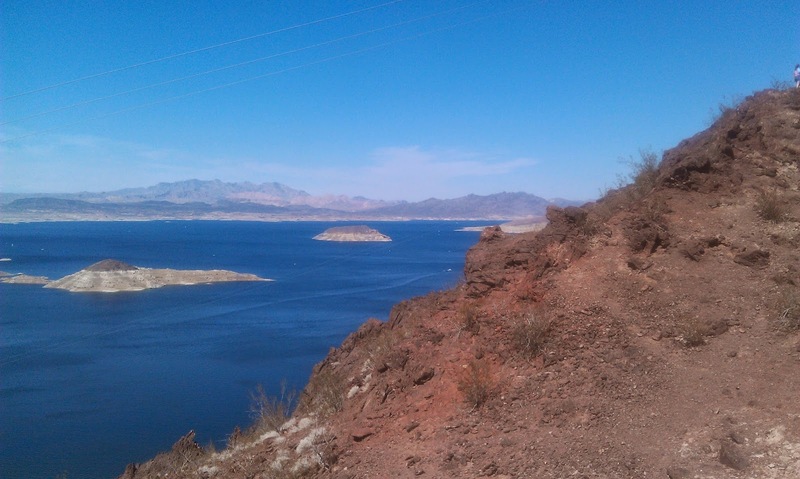 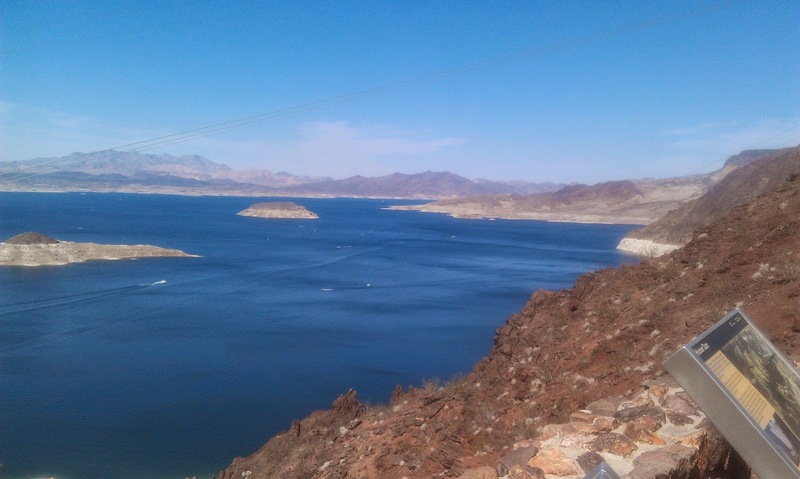 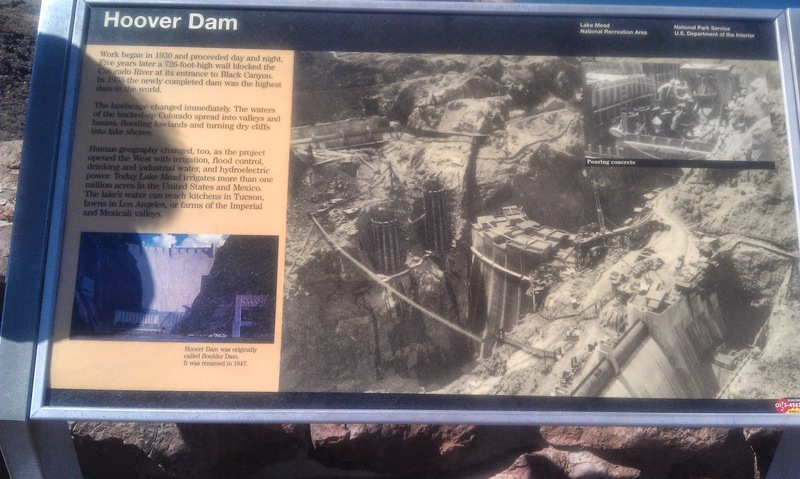 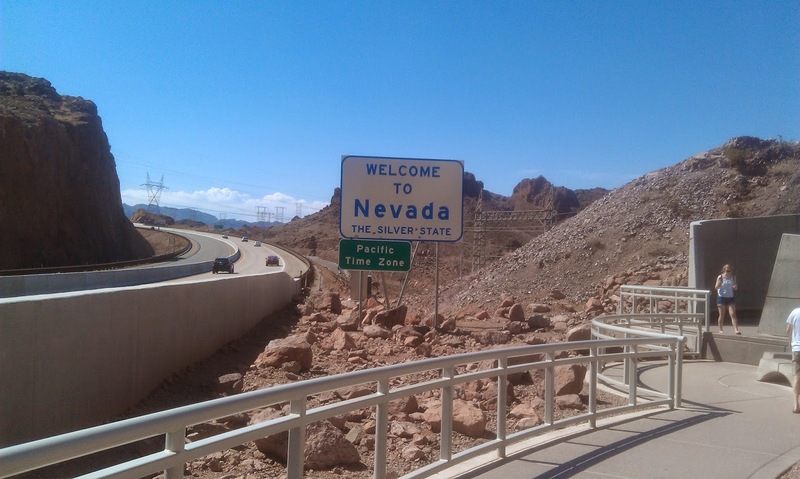 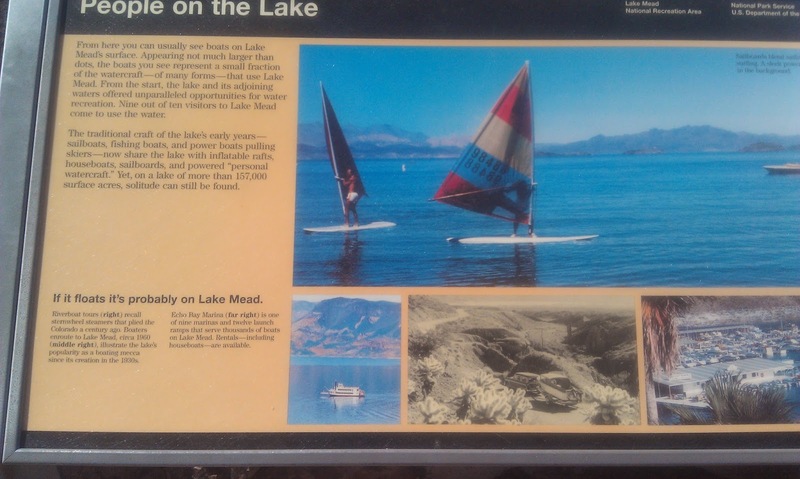 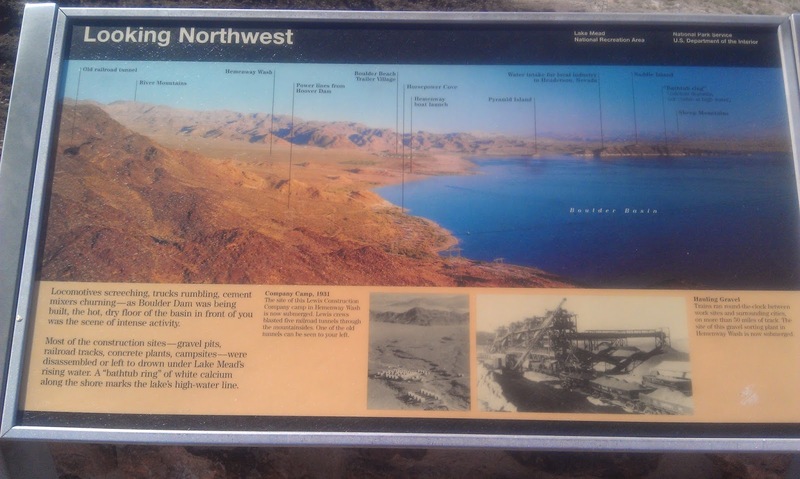 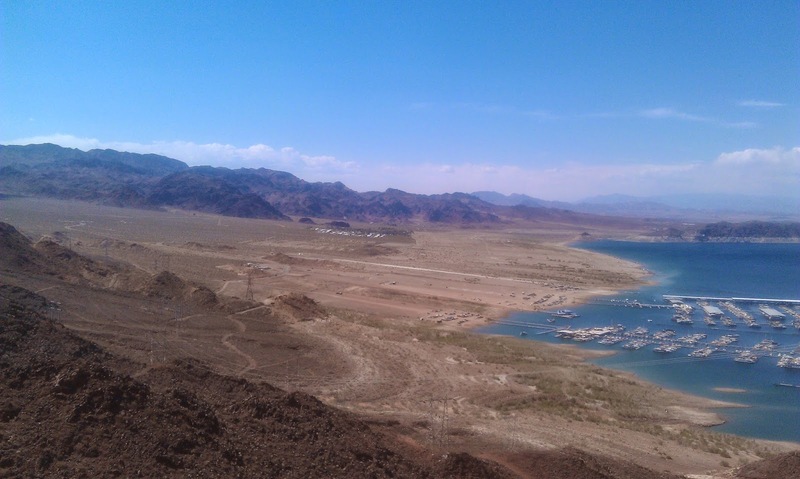 While visiting the Hoover Dam, we had a few opportunities to see Lake Mead. 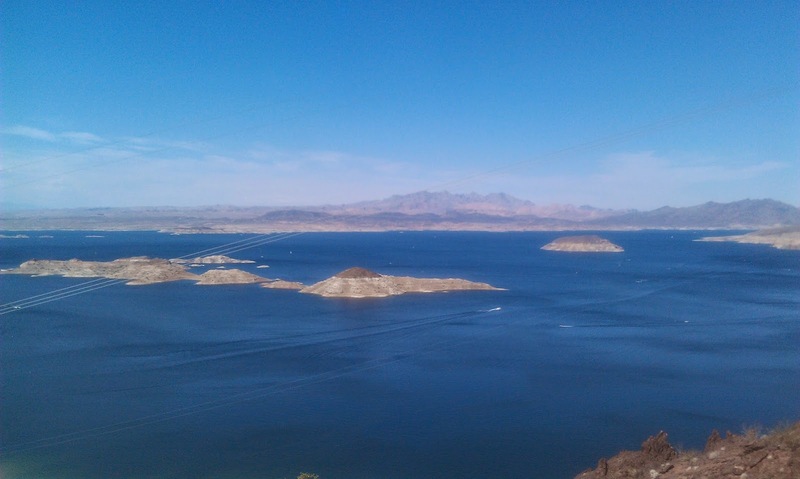 While this trip didn't give us a chance to actually be in the lake, it did give us a chance for a photo opportunity of the scenery near the Hoover Dam. 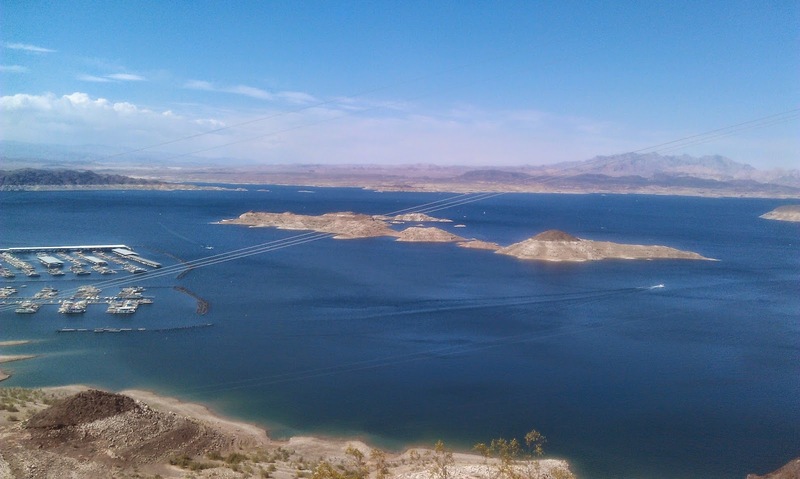 Sort of sad to this lake shrinking each year due to evaporation and overuse and you can clearly see the water mark rings when the lake was much higher.